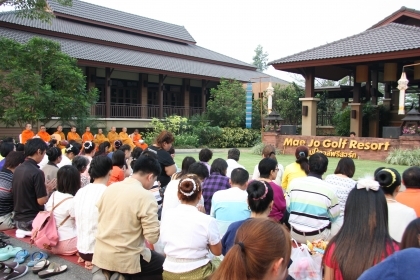 ในวันเสาร์ที่ 13 เมษายน 2556 เวลา 7.00 น. 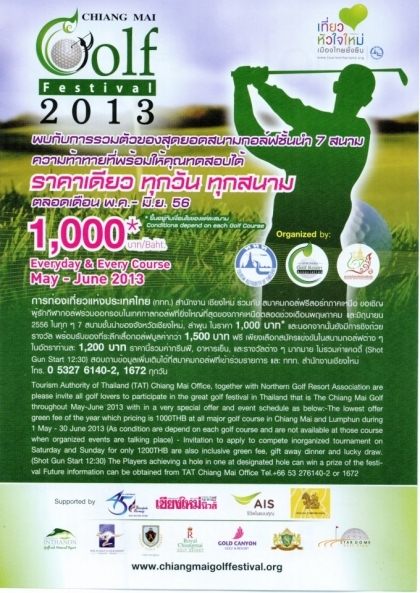 Invitation to apply to compete in organized tournament at Mae Jo Golf Club and Resort on Saturday 11 May 2013 only 1,200THB. 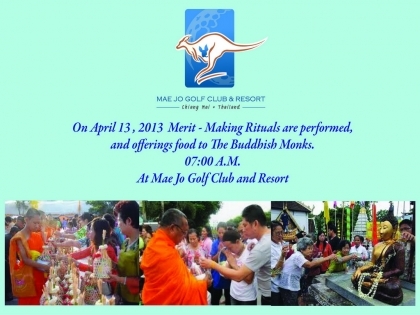 are also inclusive green fee, gift away dinner and lucky draw.